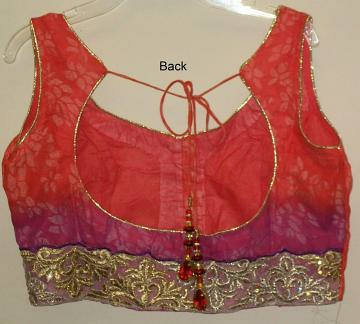 Classy choli / blouse for any of your favorite saree or lehenga. Red Jacquard Net with Purple shade Saree. Rhinestones and Golden/Silver Zari Tilla detail. Back open. Sleeveless (short sleeves attached) .Drawstring tie with decorative hanging beads adorn at back. This item in Indian Sarees category was first added to our catalog on 07-01-2016. 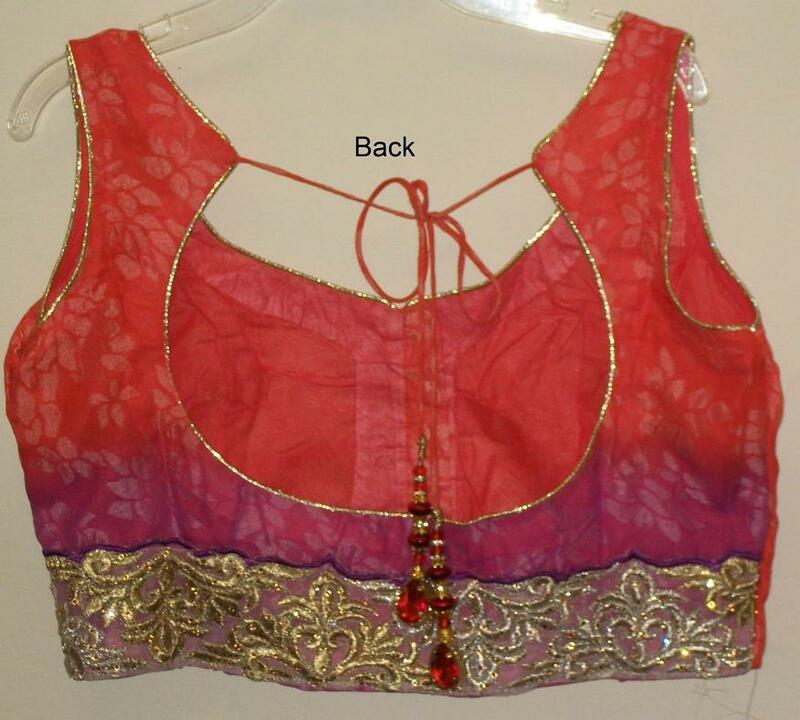 Buy Choli 4014 Red Purple Net Jacquard Party Wear L Large size, sold & shipped by Shieno Boutique where you can shop online for Latest Sarees, Salwar Kameez, Shawls, Jewelry & Clutches. This Sarees collection has been tagged as indian clothes, women wear, ladies dress, designer saree.